All waters of the Potomac River lying upstream of a line drawn from the U.S. Coast Guard Neale Sound entrance light number ”2” (Potomac River entrance to Neale Sound, MD) and the mouth of Popes Creek, VA.
Eastern boundary – is the jurisdictional line of the Potomac River Fisheries Commission (PRFC) and the Maryland Department of Natural Resources (DNR), which is identified by sighting jurisdictional spar buoy “A” over the tip of Point Lookout. Western boundary – is a line identified by sighting PRFC seed area marker “B” over Smith Creek Approach Light #2. Western boundary – is a line extending due north from St. Mary’s River Junction Lighted Buoy. Eastern boundary – is a line extending due south of Deep Point, St. George’s Island. Western boundary – is a line identified by sighting St. George’s Creek West Channel Light #1 over the center span of the St. George’s Island Bridge. Eastern boundary – is a line extending due south of the mouth of Flood Creek. Western boundary – is identified by sighting St. Clement’s Island Lighted Beacon #3 over St. Patrick Creek Approach Light #2. Western boundary – is a line identified by sighting spar buoy “V6D,” located on the Maryland-Virginia line at Nomini Bay, over the southern tip of Hollis Island. Eastern boundary – is a line identified by sighting PRFC marker “PRV4B” over the north end of the tavern at Coles Point. Western boundary – is a line perpendicular to the shore five hundred (500) yards west of the entrance jetty to Bonums Creek. Eastern boundary – is a line perpendicular to the shore fifteen hundred (1500) yards east of the entrance jetty to Bonums Creek. Western boundary – is a line extending due east from Sandy Point Neck, which is identified by sighting the easternmost white boat house over a red gambrel roofed barn. Eastern boundary – is a line perpendicular to the shore approximately four thousand (4000) yards below the western boundary opposite a white house. Eastern boundary – is a line identified by sighting the U.S. Coast Guard Potomac/Wicomico River Junction buoy (red/black num buoy) over the U.S. Coast Guard Wicomico River red daybeacon “#2W” (Mouth of the River Bar). Western boundary – is a line identified by sighting the tip of Cobb Point (Cobb Island) over the U.S. Coast Guard Wicomico River flashing green light “#3W” (Shipping Point). Thence, running SW’trly approximately 194° true to the point of beginning. 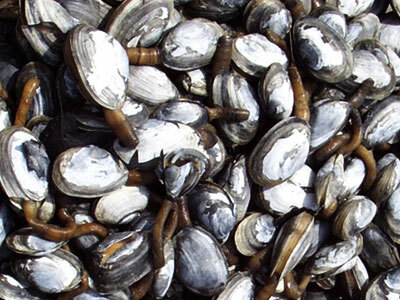 Conditionally Closed Area – The area south and/or east of the Upstream Limit and north and/or west of the Charles – St. Mary’s County line is closed for clamming April 1 through October 31 each year. Notice: ALL Closed areas extend from the mean low water line off shore to the Channel, unless otherwise noted. BE lT FURTHER DECLARED AND ORDERED: that this Order #2003-12 shall become effective October 6, 2003 and will remain in effect until further notice.